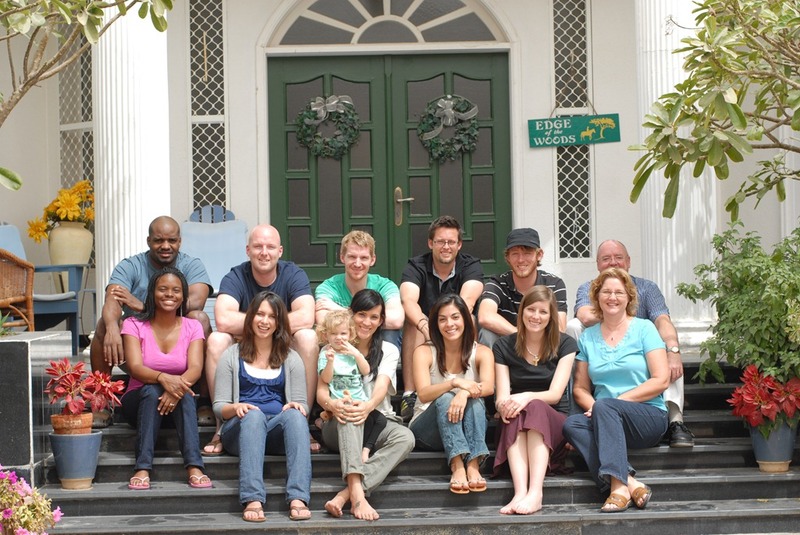 Last week we had the amazing opportunity to travel to Dubai to meet up with our fellow missionaries sent out from Grace Fellowship in WPB, Florida. What a blessing this week was to us! The church wanted a time where we could all come together to have a refreshing week, filled with fellowship, teaching, and most of all relaxing! They sent over a retired missionary couple, the Richards, who provided our sessions each morning. They were the perfect couple to send! So much wisdom and sensitivity to culture, and I know I can speak on everyone’s behalf and say that they were exactly what we needed! We had sessions every morning until lunch, and then each couple had the opportunity to meet with the Richards’ alone to discuss personal issues and questions. As well as learning a lot from our session time, last week was also great to have fellowship with friends who understand the difficulties and joys that we are going through on the mission field! I (Abby) personally only knew 1 of the other couples before going, so it was really fun to be able to meet and get to know everyone! Now, after spending a week together we know better how to keep in touch and how to pray for the specific needs in everyone’s ministry. Dubai. I didn’t even know where it was until we were going there. And I knew absolutely nothing about it until I was there. And let me just say….culture shock, big time (for me)!! Andrew and I laugh now and say it was a good prep for going back to America. 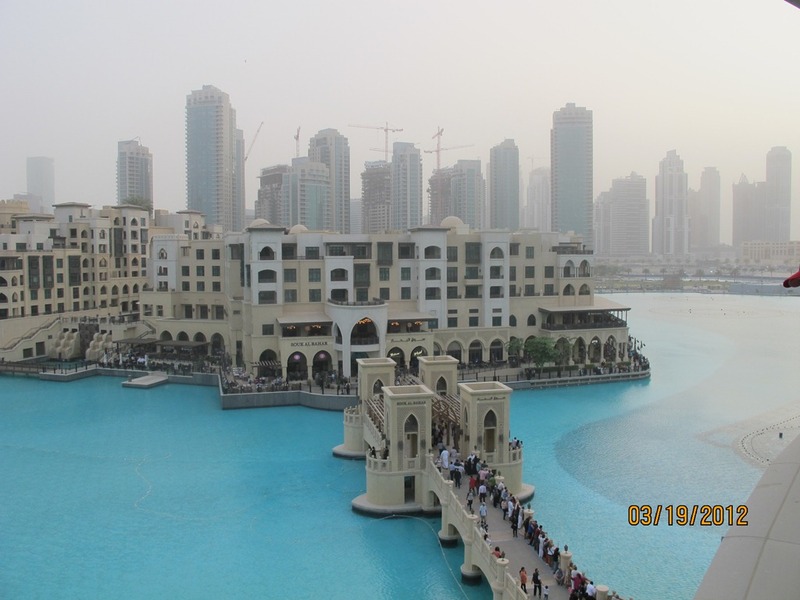 We had every day free after lunch, so we would go into town and enjoy the malls and sites. The first mall we went to had over 1,400 shops. The restaurants that we splurged on through the week were TGI Fridays, Chili’s, PapaJohns, Pizza Hut, Coldstone (my personal favorite), Krispy Crème, and Cinnabon. 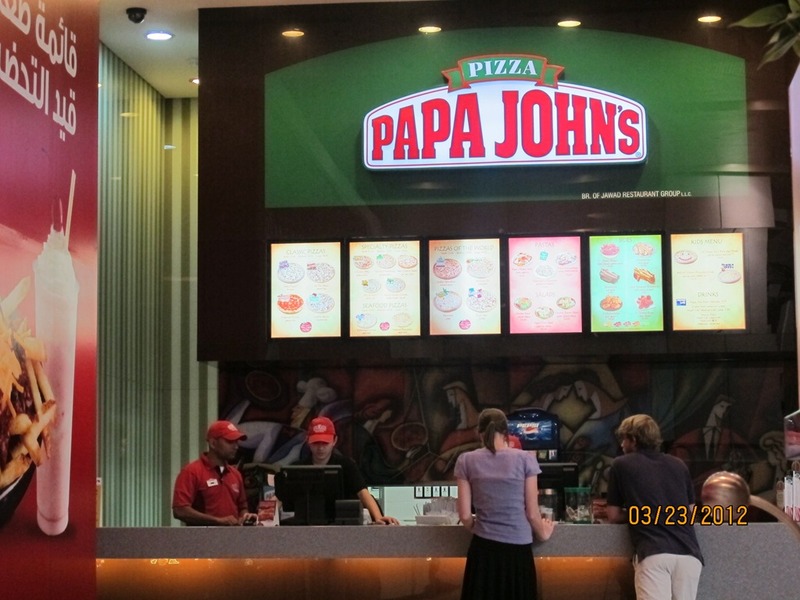 Now, I know this doesn’t mean much to many of you, but remember…we do not have any American chains here in Kenya, so I have not seen any of these places in over a year! It’s official, I ate way too much last week!! I could write about the food throughout the whole blog, but I will refrain. We were also able to do some shopping for our home. We found an IKEA, which made my day! We bought a lamp, some picture frames, shades for our lights, and a few baby items. It was so nice to be able to get these things because in Kenya they are way over-priced, so we have been holding out. What a nice surprise it was to find these decently priced shops in Dubai! 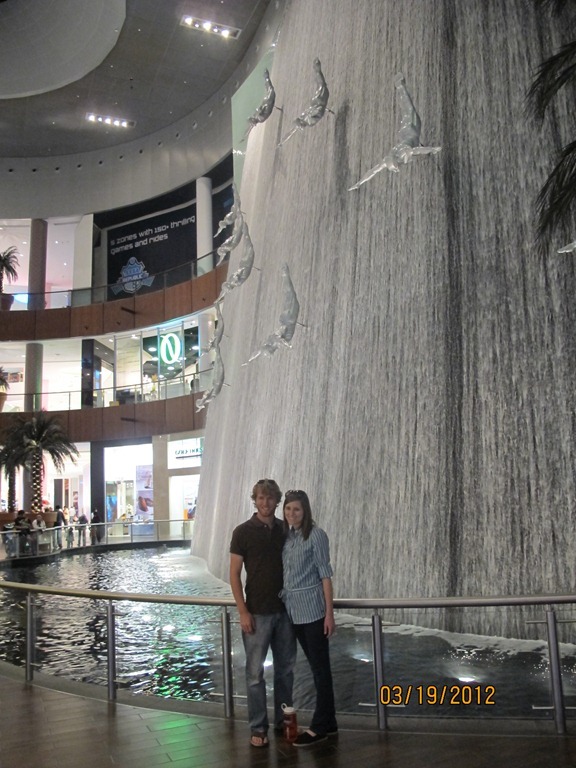 Standing in front of a huge fountain in one of the malls. The day we were leaving Dubai, I have to be honest…I wasn’t too excited about it. Part of me wanted to stay in this nice, modern city (with great, smooth roads!). But as soon as we got back to Nanyuki, it felt great to be home. And that feeling was way better than being in a nice place with familiar shops and restaurants. I am so thankful for the week we had to relax and fellowship with friends, but I am also excited to be back where we are called to serve. **A special thanks to Grace Fellowship (and all the members who may have given!) for making last week possible for us! It was truly a blessing!! 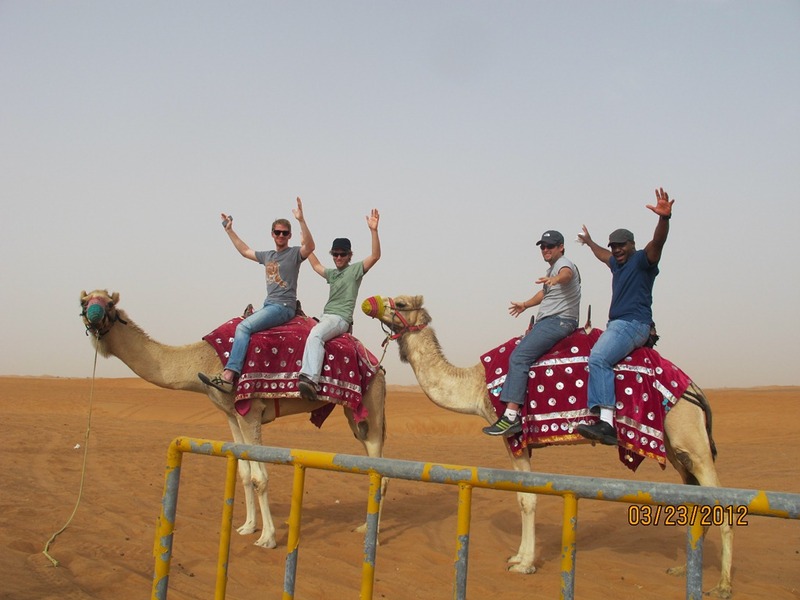 On the last day, the boys went dune bashing, dune boarding, and camel riding! Sounds like quite a fantastic trip. So happy that you were able to go there. And so very happy to have you back home with us in Nanyuki!!! !